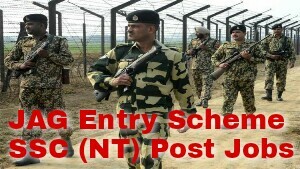 Indian Army has published requirement news 2017 for 14 JAG Entry Scheme 19th Course Oct -2017 Short Service Commission (NT) Posts. Apply Online on or before 22nd February, 2017. More information please read below mention details carefully. - should be eligible for registration with Bar Council of India. Age Limit : - 19 to 27 Years.